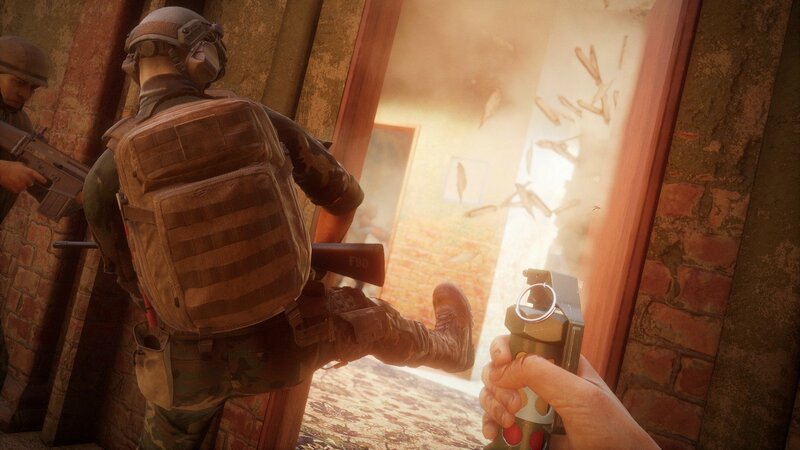 If you want a legitimate alternative to the yearly churn of Call of Duty and Battlefield, Insurgency: Sandstorm is just what the doctor ordered. Our review. Just when you think that you’ve seen everything video game have to offer in a certain genre, something new comes along that restores your faith and breathes new life into your favorite hobby. 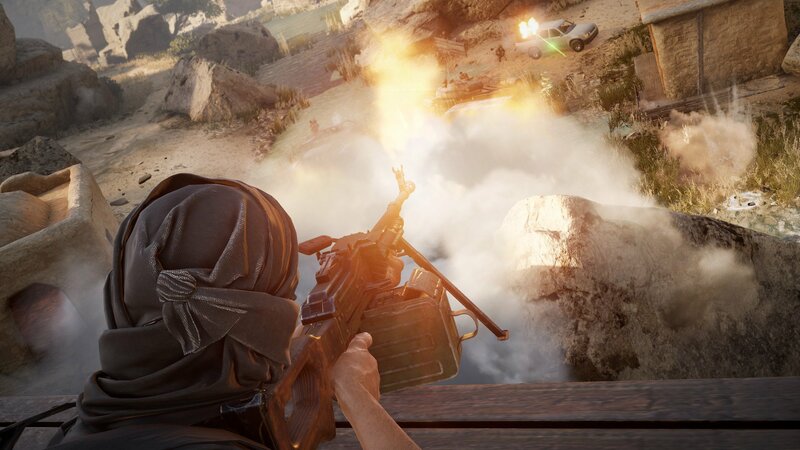 New World Interactive’s new multiplayer shooter Insurgency: Sandstorm is the product of more than a decade of hard work on producing a modern combat experience that can satisfy players looking for quick fun as well as a more tactical pace. Sitting comfortably between the Armas and Battlefields of the world, the game offers excitement, tension, and goofy fun that is breath of fresh air in the crowded shooter market. Insurgency: Sandstorm pits two teams of combatants against each other in various war-torn towns that seemingly lie somewhere in the middle east. If players are killed, there are no respawns until the current wave of action is successfully completed or the attacking team fails. It sounds just like Counter-Strike or any other modern military shooter, because it mostly is. The setup here is nothing we haven’t seen a hundred times already. The game mixes it up a bit with the inclusion of a driveable technical pickup truck with a mounted gun and the occasional gunship or mortar strike, but again, this is all well-trodden ground in the genre. The developers over at New World Interactive appear to have found some magic recipe to make the same old thing feel exciting and unpredictable again. The gunplay in Sandstorm feels a bit like that of Arma 3, without carrying over the complex ballistics system. Close encounters make use of hitscan projectiles while intermediate and long engagements have bullet travel and drop. If you were to ask me why this game is different from the rest, I’d point to the gunplay. Insurgency: Sandstorm offers a minimal HUD, no aiming reticle, and no hit indicators. There is no readout of how many bullets you have left. If you reload your gun before the magazine is empty, that magazine goes back into your kit. If you get in a bind and insert that same magazine later on, it will only have a few bullets in it, possibly getting you killed at the wrong time. Killing enemy soldiers will not shower you in a flood of numbers and reassuring text that you are a good soldier. If you are close enough to the target you kill, your confirmation will be the exploding red mist of brain matter and a red splat on the brick when your bullet goes between their eyes. There will be times when you aren’t sure if you killed any enemy or if they took cover during hectic encounters. Is it safe to advance towards that position or are you being lured into exposing yourself? Ramping up the tension is what Insurgency: Sandstorm excels at. Just when you feel safe, a shotgun will be waiting for you around a corner. When the rest of your team is down and you have to hold off an incoming team from storming a small house for 90 seconds when you are unsure if you have enough bullets to do the job is certain to make your heart rate rise. If by some miracle, you make the ultimate final stand and clear the checkpoint, the sense of accomplishment is otherworldly. If you fail and catch a molotov cocktail with your face, it still feels pretty amazing. The soldiers are real chatterboxes. There always seems to be the perfect quip for each situation and the constant stream of expletives from the team of insurgents is hilarious. If you do get your head popped by the enemy team, Sandstorm offers a first person view of your remaining teammates that you can swap around on the fly. I honestly can’t remember a game where backseat driving your teammates (and having them return the favor to you) has been so entertaining. More often than not, viewing the action from their perspective will draw you into the moment. I get almost as tense when spectating as I do when playing. Exchanging stories of my teammates glory is just as awesome those I encountered on my own. No two rounds feel quite the same, and like the best moments from PUBG or DayZ, telling the stories from the game is half the fun. The action is offered in two main flavors - PvP and PvE. PvP works just as you’d expect, with two teams of players duking it out to the finish. The PvE mode lets you clear the mean desert streets with friends against surprisingly good AI. I’m more than 50 hours into Sandstorm and the things the AI soldiers do still manage to surprise me each night. They will hide in corners, they will rush you at your most vulnerable, and they will sometimes try and run away. While talking about the previous night’s matches one morning, one of my friends heard us mention the AI. He thought we had been playing against humans the whole time. This is about the best endorsement I can offer for Sandstorm’s computer-controlled army. 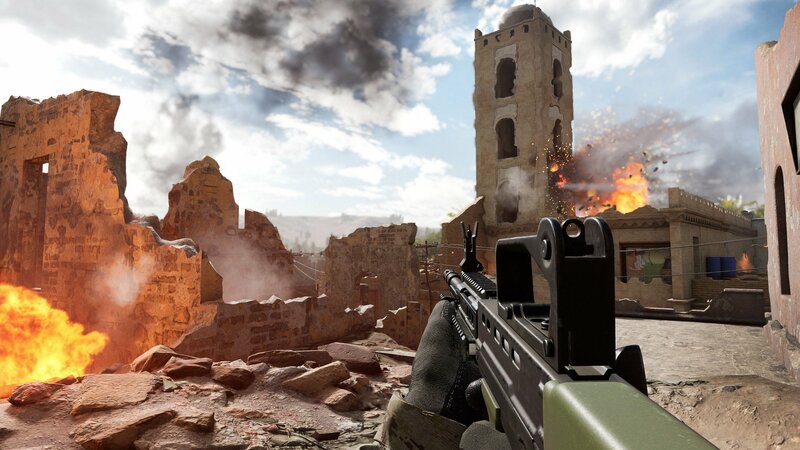 Players who are tired of the modern shooter conventions of weapon and equipment unlocks will find Insurgency: Sandstorm to be a welcome return to earlier times. All solder classes, weapons, and gear are available right from the beginning. There is no need to waste time leveling guns you don’t like to get to what you do like. Limited cosmetic customization is available for your soldiers. These items will unlock with gameplay, which is fine by me. Earning the right to look fabulous is the badge of honor it should be. The game runs on Unreal Engine 4 and looks pretty good. There are rough edges here and there, but the presentation is generally solid. Some levels have problem areas that produce spikes in the frame rate, especially in larger PvP encounters. Lowering your settings doesn't seem to make much difference in these situations, so hopefully the developers can address these problems in future patches. A strong CPU is recommended if you want to ensure the smoothest possible experience. The inclusion of the techincal pickup (and the fear it elicits) is appreciated, but the feel of driving it could be better. While each offers varied gameplay, the various town levels all look kind of the same. This review is based on the PC Steam release. The game was purchased by the reviewer. Insurgency: Sandstorm was made available for Steam on December 12 for $29.99. Can confirm, it’s an awesome game. Same thing happened to me—I hopped in to give it a quick try and got sucked in for a couple of hours. The community is also really awesome. I like both the PvE and PvP mode, but I'm far more impressed by the PvE just because there's nothing else like it. 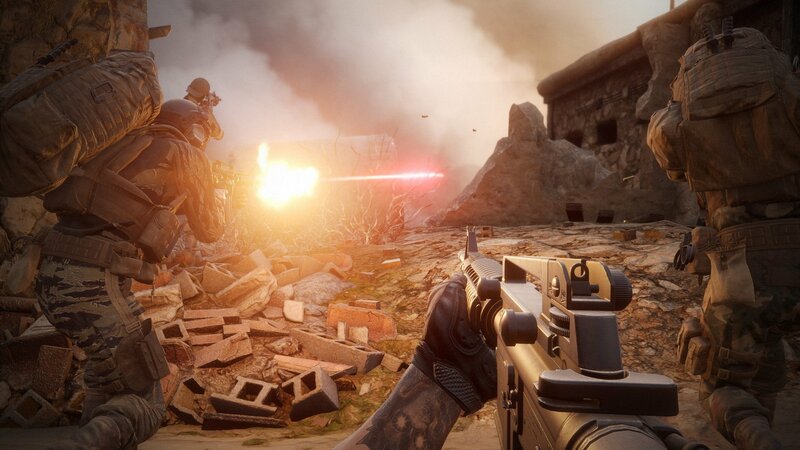 It makes this feel like a special game not to be missed, and hopefully something that competitors will consider as a way to breathe fresh air into shooters. Thanks for the information. It looks great from the review, will soon going to get this game. I have always bought my games from this site (https://www.press-start.com/de), hope this game is also available. I have seen the demo of this game, it was really nice. Very excited to play it.